Bokeh photography isn’t just a craze, it’s the aesthetic quality of a photograph’s out-of-focus areas. 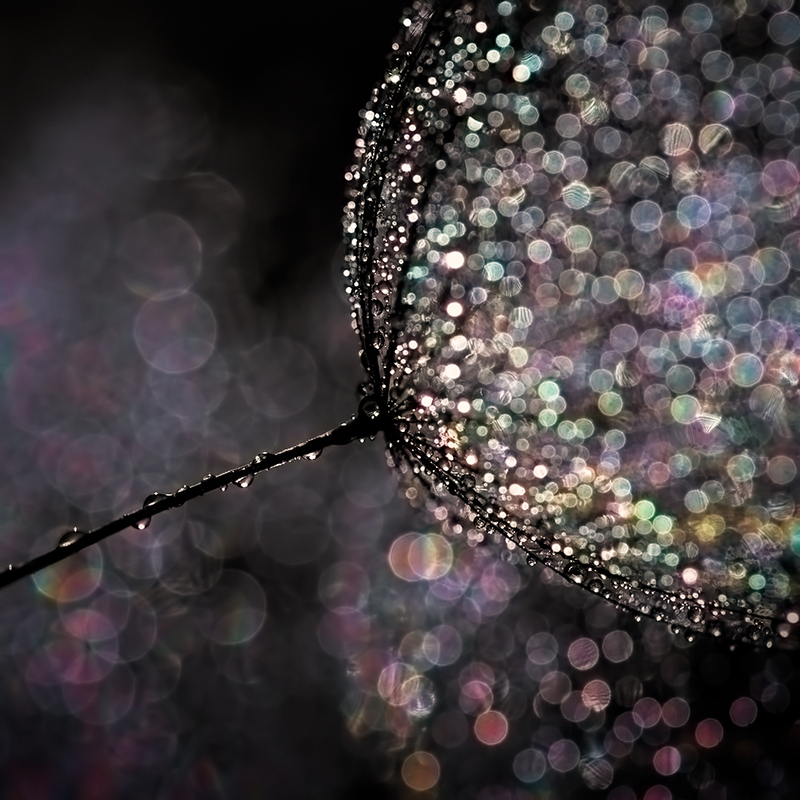 The word bokeh is derived from the Japanese boke, defined as blur or haze. What is bokeh in photography? “the effect of a soft out-of-focus background that you get when shooting a subject, using a fast lens at the widest aperture, such as f/2.8 or wider”. The essentials of bokeh photography are already hinted at in the tentative definition above. While bokeh is used to describe a photograph, it is in fact determined by the lens. Bokeh photography is quick to learn and difficult to master. This is list of bokeh photography tips all pros should know. With all the attention it received in the past years, bokeh photography is still somewhat misunderstood. There are hardly any specific settings on the camera which can render the bokeh effect. The out-of-focus areas of a photograph are pleasingly blurred thanks to the lens. More specifically, it is the shape of the diaphragm blades and the aperture of the lens that determine the quality of bokeh. In photography bokeh is visible in highlights. The bokeh photography shapes (such as the orbs, backdrops, soft hexagons) are determined by the shape of the diaphragm blades. Circular blades will render the out-of-focus soft orbs highlights. Alternatively, hexagonal lens will render the hexagonal soft highlights. To achieve the bokeh effect, it’s recommended to use fast lens. As such, an f/2.8 aperture is good. An f/1.8 or f/2 aperture is even better. By using different aperture shapes and aperture sizes and experimenting with different depths-of-field and lens designs, the rendered bokeh effect may be quite different from one photograph to the other. Visible bokeh occurs in the out-of-focus areas of a photograph, as the prime subject is well defined in the depth-of-focus region. We’ve established that the bokeh effect is rendered differently by different lenses. This is a short and by no means exhaustive list of lens designs that offer the best results. Sigma 50mm f/1.4 Art – this is one of the best lens on the market. Praised for its sharpness and fantastic microcontrast, it surprisingly renders soft, creamy orbs reminiscent of a cinematic scene. Zeiss 85mm f/1.4 Otus – arguably among the best 85mm lenses on the market. It’s not as sharp at the lens above, yet the bokeh effect is flawless. One key term in bokeh photography is the shallow depth-of-field. The shallow depth-of-field results from shooting the subject at close range with a large aperture. The soft orbs resulting in the background are light reflections rendered as such by the lens. Some people believe the bokeh effect is all about the soft orbs light reflections’ quality. However, a pro tip is to consider all of the out-of-focus area when thinking of the quality of bokeh. There is both good bokeh and bad bokeh. A distracting out-of-focus area of a photograph is considered bad bokeh. The point of the bokeh effect is to bring the subject in a sharp, depth-of-field plane, while the background is aesthetically blurred to prevent distractions. There’s a great deal of subjectivity concerning good bokeh and bad bokeh. Nonetheless, based on your own photographic style and needs, you need to find the right lenses and your own bokeh style. Tip: scenes which include specular highlights or difficult lighting conditions are challenging from the perspective of bokeh photography. Natural sunlit scenes are almost perfect for bokeh photography. Christmas trees and cityscapes at night make good scenes as well. How to do Bokeh Photography? Tip number 1 is to shoot the photograph with lens wide open. Manual or Aperture Priority are perfect modes to create the settings necessary for good bokeh. With the Manual mode you can choose the shutter speed and the aperture individually. Aperture Priority mode enables the camera to choose whatever shutter speed it deems necessary for the given exposure. You can choose the f/stop with the Aperture Priority mode. Tip number 2: in the absence of fast lenses, increase the distance between your subject and the background you’re shooting against. This ups the likelihood of visible bokeh in the photograph. A shallow depth-of-field means a more out-of-focus background. Harsh lights become diffuse, pleasing and soft when they are out-of-focus. Lens aberrations as well as aperture will influence the way the bokeh effect is rendered in the out-of-depth-of-field areas. Tip number 3: bokeh isn’t all about the luminous highlights. The bokeh effect applies to all areas of a photograph that are out of focus. Tip number 4: how to get heart bokeh photography? Some photographs feature soft heart-shaped light reflections in the background instead of the typical blur, the soft orbs or hexagons. Achieving heart bokeh photography isn’t difficult at all. As a matter of fact, it could be called DIY bokeh photography. Cut out a heart-shaped design in a circular cardboard just under the diameter of your lens. Attach it to your lens and let the magic happen. Whether it’s a heart, a star or any other shape, the light will reflect in that particular manner. Bokeh love photography? It’s all in the improvised heart-shaped lens cap. Tip number 5: bokeh isn’t spectacular just in color photography. The same tricks apply for black and white bokeh photography. Even if it’s a black and white portrait, bokeh will bring forth all its strengths. Bokeh photography implies a great deal of subjectivity. Get out and try different settings, lens designs and backgrounds. There is no perfect lens for good bokeh. Share your bokeh photography with the rest of the world and continue practicing.